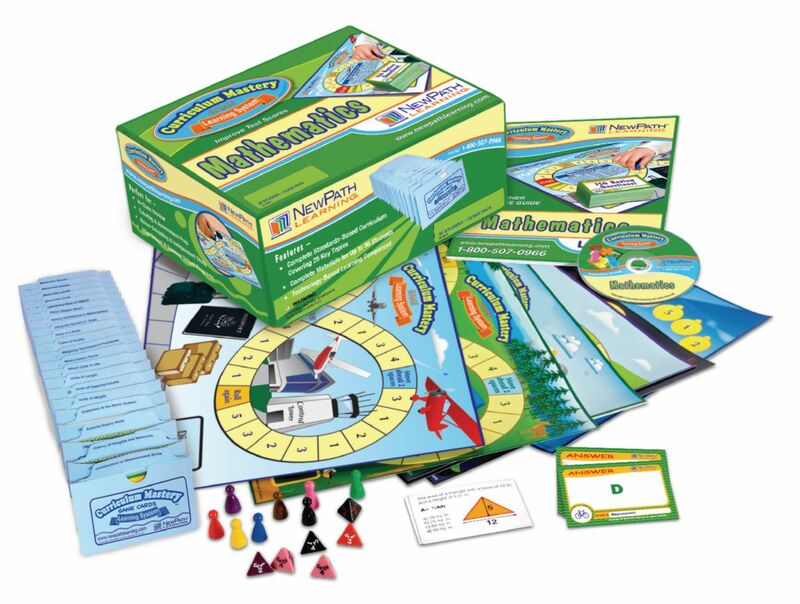 Fun, exciting, interactive, and inclusive „ these sets of content-based games help students master curriculum outlined in the current NCTM Standards for grades 1-8. Written by teachers using research-based principles, each game has been tested and proven effective in classrooms like yours. Each Class Pack set of games provides comprehensive coverage of topics required for math testing at that grade level. Engage students in learning with over 750 review cards, each set focused on a specific topic, and an additional 12 double-sided game boards for study and review. Designed to stimulate parental involvement, the Take-Home edition mirrors the Class pack content through 25 individually packaged games, a parent resource guide, presentation CD, and online subscription. These kits are designed to help parents reinforce math concepts at home in fun, new ways. Each game features a set of 30 standards-based review questions, a double-sided game board, and materials for up to four children. Games address content of 4th grade math curriculum. Includes topics Place Value; Rounding Numbers; Compare and Order Numbers; Data Analysis; Graphs; Represent Data; Problem Solving; Addition/Subtraction; Multiplication; More Multiplication; Division; Multiplication/Division; Add/Subtract Fractions; Decimals; Decimals/Fractions; Add/Subtract Decimals; Algebra; Evaluate Open Sentences; Geometry; Perimeter; Lines and Angles; Measurement; Money; Elapsed Time; and Calendar.